The interim director of the Federal Bureau of Investigation has told an intelligence panel in the United States Senate that he will not hesitate to report any attempts by the White House to interfere with an official investigation into Russia’s role in the 2016 presidential election. Andrew McCabe assumed the leadership of the FBI on Tuesday, after US President Donald Trump abruptly fired the Bureau’s director, James Comey. A trained lawyer who joined the FBI in 1996, McCabe amassed significant experience in countering organized crime and terrorism before being appointed Deputy Director of the Bureau in 2016. It is worth noting that Republican Party officials have criticized McCabe for being close to former Democratic Party presidential candidate Hillary Clinton. McCabe’s wife, Dr. Jill McCabe, campaigned for a seat in the Virginia State Senate in 2015, on a Democratic Party ticket. McCabe spoke on Thursday before the US Senate’s Select Committee on Intelligence, along with the directors of five other American intelligence agencies, including the Central Intelligence Agency and the National Security Agency. During their testimony, the six intelligence officials repeated their agencies’ previously stated claims that Moscow engaged in systematic efforts to assist the election of Donald Trump in last November’s presidential elections. McCabe also responded to specific questions by Democratic senators about alleged attempts by the White House to prevent probes in to Russia’s alleged intervention. When asked by Democratic Senator Mark Warner whether he would inform the Senate’s Select Committee on Intelligence of attempts by the Trump administration to stop the probe, McCabe responded saying: “I absolutely do”. There are currently at least three parallel investigations into Russia’s alleged involvement in the US presidential elections, of which the Senate’s is one. The US House of Representatives and the Department of Justice are also conducting separate investigations. Almost immediately following the release of the United States Senate Intelligence Committee’s summary-report on the Central Intelligence Agency’s interrogation program, American public figures began to hurriedly fall in line along predictable partisan positions on the subject. The 500-page document, released on Tuesday, represents the publicly available version of a 6,000-page report that dismisses the CIA’s post-9/11 detention and interrogation program as an intelligence failure. It also details instances of systematic use of torture by the Agency and accuses it of lying to Congress and the Executive about the effectiveness of its detention methods. But the published report was boycotted by the Senate Committee’s Republican Party members; consequently, it was authored solely by the group’s Democratic Party members, who currently constitute a majority in the Committee. Its Republican members, led by Senator Saxby Chambliss (R-Ga), released an alternative 160-page minority report that dismisses the majority document as an inaccurate and hastily produced account, which endangers American national security. The Republican-supported minority statement praises the CIA for weakening al-Qaeda in the years after 9/11 and lambasts its critics for “misrepresentations of fact” rooted in “political motivations”. Meanwhile, as senior officials in the administration of US President Barack Obama voiced support for the Senate report, an anonymous group of former senior CIA officials launched a website lambasting it as “the single worst example of Congressional oversight in our many years of government service”. 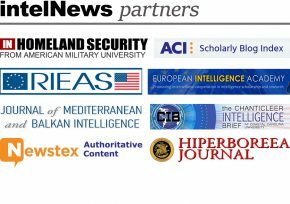 IntelNews understands that the website, entitled “CIA Saved Lives”, is organized by Bill Harlow, the CIA’s public-affairs director from 1997 to 2004, who is close to the Agency’s former Director, George Tenet. Tenet was a trusted advisor of then-US President George W. Bush, and led the CIA during the implementation of the early stages of the post-9/11 interrogation program. The CIA’s own response to the Senate report came in a public press release that acknowledged “serious mistakes” in the interrogation program while defending its alleged effectiveness in weakening of al-Qaeda. Rare examples of public figures that broke party lines were Susan Collins (R-Me), the only Senate Intelligence Committee Republican not to endorse the minority report, and Senator John McCain (R-Az). McCain, who underwent years of torture as a prisoner of war in North Vietnam, said the CIA’s use of torture “stained [America’s] national honor” and had done “much harm and little practical good”. A United States Senate report on the use of torture to extract intelligence from terrorism detainees accuses the Central Intelligence Agency of severely overstating the usefulness of the information gained. Details of the long-awaited report, produced after a four-year investigation by the Senate Select Committee on Intelligence, have been leaked to The Washington Post. The paper reports that the probe is a damning indictment on the CIA’s ‘enhanced interrogation’ program, implemented during the administration of President George W. Bush. The report contains over 20 different conclusions. But the most critical are that the CIA misled the government and the American public by: (a) understating the severity of the interrogation methods used; and (b) overstating the actionable intelligence extracted through torture. The Post cites unnamed “US officials” who have reviewed the Senate report as stating that the CIA’s ‘enhanced interrogation’ program “yielded little, if any, significant intelligence”. According to one source, in some cases the Agency proceeded to waterboard terrorism detainees after recognizing that all actionable intelligence had already been extracted from them. In one instance, says the paper, nearly all valuable intelligence gained from al-Qaeda operative Abu Zubaida was extracted by CIA interrogators before he was subjected to waterboarding nearly 100 times. Notably, the Senate report also highlights deep divisions within the CIA, as many units protested the practices employed under the Agency’s interrogation program. But The Post also quotes “current and former officials” who are critical of the Senate report for containing “factual errors” and “misguided conclusions”. One CIA veteran told the paper that the 6,300-page document reflected “Federal Bureau of Investigation biases”, and that CIA officials are critical of the fact that one of the report’s main authors is a former FBI analyst. Dianne Feinstein, the chair of the United States Senate Select Committee on Intelligence, had gone out of her way in recent days to avoid commenting on the ongoing quarrel between her Committee and the Central Intelligence Agency (CIA). That ended yesterday, when she gave a press conference accusing the CIA of illegally spying on her Committee’s Congressional staffers. Her stunning announcement came shortly after her tense meeting with the Director of the CIA, a bad-tempered John Brennan. She told the media that at the meeting she requested from Brennan an apology and acknowledgement that the alleged CIA spying was “inappropriate”. By her own account, she failed to get either, so she decided to go public. In an interview I gave yesterday to Michigan’s WILS 1230 AM’s Capital City Recap, I argued that the quarrel between the two government bodies is not in itself important. What is important, I told radio host Mike Cohen, is that the dispute has entered the public arena. A routine ‘push and shove’ mêlée has turned into an all-out fistfight in full view of the media. One Republican Senator, Lindsay Graham, told the Associated Press on Tuesday that the time had come for “the legislative branch [to] declare war on the CIA”. In response to the Committee’s accusations, the CIA has apparently instructed the Department of Justice to investigate the alleged removal by Congressional staffers of classified documents that were “protected by executive privilege [and were] beyond the scope of the Committee’s investigation”.